Recently Gmail team added a new feature to Gmail that is 'Free SMS Sending Feature'. Actually this is not fully free. Every Gmail user get 50 credits to send SMS to any mobile phone of any network carrier or mobile phone. When you will use your all credits then you can buy more at very rate than usual mobile SMS. Anyway, this is very good feature from Google to its Email users. 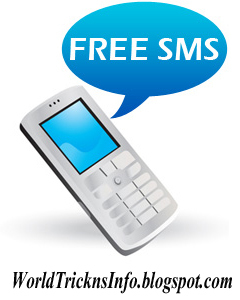 Being able to send SMS to any person you know for free is a great idea. This latest Gmail feature works only in Standard Mode, not in basic HTML mode. The steps to use this service are given below. Go to Gmail.com and login with your login information. Now let the 'youremail@gmail.com' load completely. If you are loggod in 'Basic HTML' mode switch to Standard View by Clicking the link on the top or bottom of the page. If you are seeing 'Gadgets' by default then switch to 'Chat' tab. Now in Search, Chat or SMS box, write any phone number to which you want to send your SMS. After entering number, click on Send SMS. Now give your number any name (Name of owner) and choose the country code. Now you'll see a new window like chat box will appear in the bottom right. Type your message and press Enter to send or click on Send. That's all. Feel free to comment here, if you face any problems. Thanks and Regards.